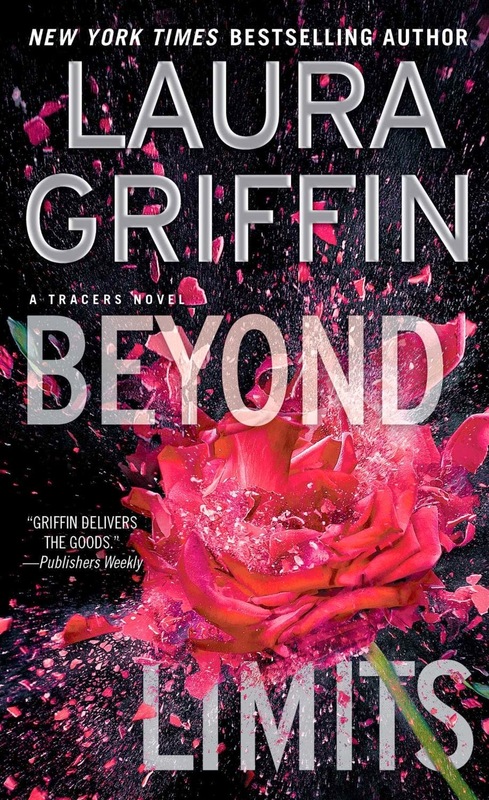 This latest installment in Griffin’s Tracers romantic suspense series shifts focus slightly. While the Delphi Center, the forensics lab that plays a central role in the series, plays an important role, it’s mostly off-page. The focus is on the FBI’s attempt to stop a terrorist plot. The story centers on FBI agent Elizabeth LeBlanc and Navy SEAL Derek Vaughn, supporting characters in a prior book. The attraction between them then has carried over, and Derek is determined that they’ll act on it before he deploys again. On Derek’s last mission, he found evidence pointing to a secret terror cell on US soil. The FBI suspects this cell plans a strike soon, and against a “soft,” or civilian, target. Initially consulted about his teams findings, Derek muscles his way into the ongoing investigation. This brings him and Elizabeth together. As they work to find the terrorists and avert a mass murder, the attraction between them sizzles. Elizabeth doesn’t deny the heat they share, but she doesn’t want a relationship with someone who’s away most of the time, as Derek is. She also clashes with him over his methods and his tendency to go off alone without consulting the agents in charge. Yet the attraction becomes harder to resist as they work together and he plays a vital role in uncovering the plot. Characters familiar from other books in the series appear here, which is a treat for readers who enjoyed their earlier appearances. The writing flows smoothly, with an intense pace, and the attraction between Derek and Elizabeth adds to the tension in the story. What’s your favorite romance novel featuring a Navy SEAL or an FBI agent? If you read the Tracers, which book is your favorite so far? Thanks for the review, Nancy! I'm looking forward to reading this one. PJ, I was happy to do it. I think you'll enjoy the book! I don't read a lot of romantic suspense, but Manda Collins suggested I give Laura Griffin a try. I did and really like her characters. Snapped is my favorite of the Tracers series, even though it gave me nightmares. :) I'm about three books behind with the series. Your review reminds me that I should catch up, Nancy. My favorite romance featuring an FBI agent is Julie James's Something About You. Janga, I loved Something About You. I'm current on the Tracers, though not on other things. My favorite is Scorched.